2. Find the IP address of the router. Most default IP addresses are 192.168.1.1, 192.168.0.1, or 192.168.2.1. 3. 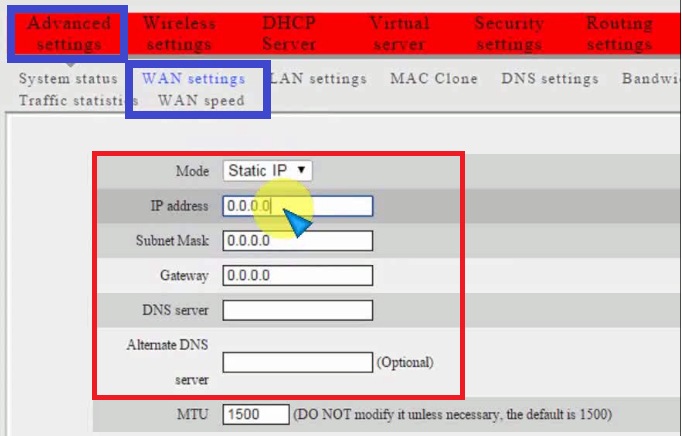 Open a web browser and enter in the IP address of the router into the address bar and press Enter. 4. Enter your username and password. The most common username and password is “admin”. 7. Fill the IP Address, subnet mask etc…. provided from internet service, if you don’t have ask to service provider. 9. Now Click on “Wireless setting” you can change the SSID name and password of your Wi-fi. 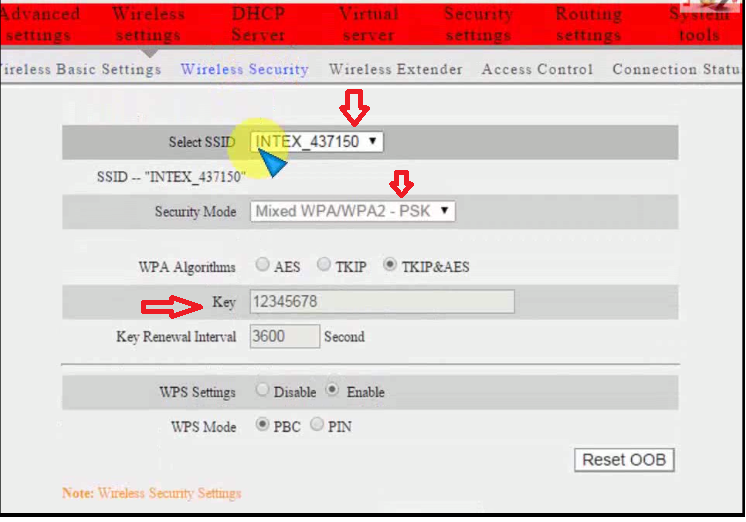 For the best security, choose WPA2-PSK as the encryption method. This is the most difficult security to crack.